The Mission Support System (MSS) is a software that was written by scientists in the field of atmospheric science. The purpose was to have a tool that simplifies the process for planning a scientific flight in which parameters of the atmosphere are measured. The research aircrafts typically carry a comprehensive scientific payload comprised of data aquisition instruments by different companies and research institutions. The measurement of relevant parameters, for example the chemical composition of trace gases, temperature or aerosol particle characteristics, are needed to improve the scientific understanding of the processes in the atmosphere. This is of significant importance for the understanding for example of climate change or the recovery of the ozone hole. Typically, scientific research flights are conducted to answer different scientific questions. Forecasts of relevant parameters by a model simulation for a specific location give hints where to fly, to answer the scientific questions by measurements. A lot of other conditions apply to research flights, that concern flight altitude and range, ambient temperature, flight permissions in different flight information regions and aircraft traffic routes. MSS helps to optimize the scientific outcome of the research flights by displaying the planned flight route and the corresponding model parameters in the same platform for many discussed options. It does therefore reduce somehow the amount of flight hours that is needed to answer a scientific question and thus saves in the end taxpayers money. In detail, this software helps to review a big amount of meteorological and model data by viewing the forecasted parameters of interest along possible regions of a proposed flight path. Data and possible flight paths can be displayed on a horizontal view (map projection) or on a vertical view (along the proposed flight path). Flight paths can be constructed and modified on these views. Exchange through a waypoint table is also possible. MSS is a client/server application written in the language Python. This is used to create flight plans and discuss these with pilots of research aircraft. 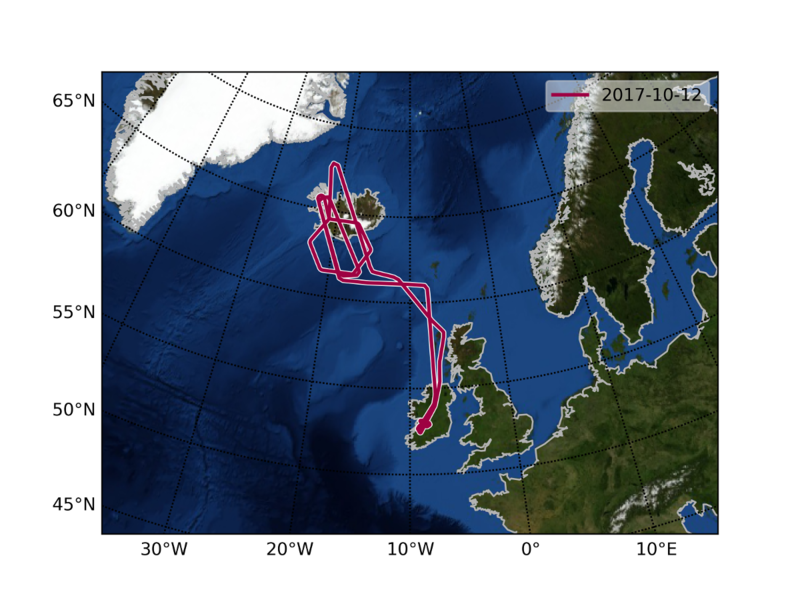 The flight path is designed by local and remote scientists based on meteorologic forecast data on the QT5 MSS gui application. A publication by Rautenhaus et al. summarizes the principle of this software. On the EuroPython conference a overview talk about MSS was held. The MSS software includes a template for a Webmap server providing own model data, but it can also connect to several Open Web Service (OWS) data providers. The architecture of the software package enables its use in countries with a poor internet connection. For our atmospheric measurements, one often has to go to remote regions that lack high speed internet. MSS is developed and used mainly by scientists of various institutions involved in scientific aircraft based missions, including universities and the German research institutions DLR, KIT, and Forschungszentrum Jülich. Improving the software will improve the quality of the research flights and will also enable its use for other scientific areas, e.g. planning of ship routes.